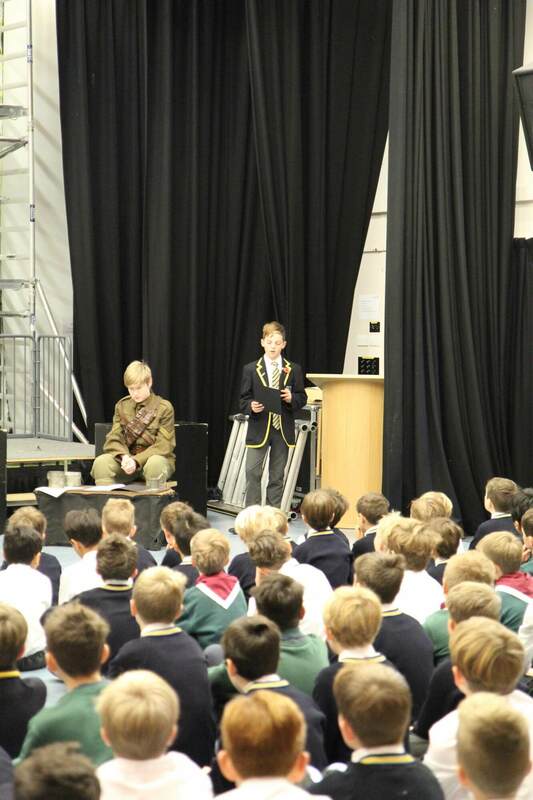 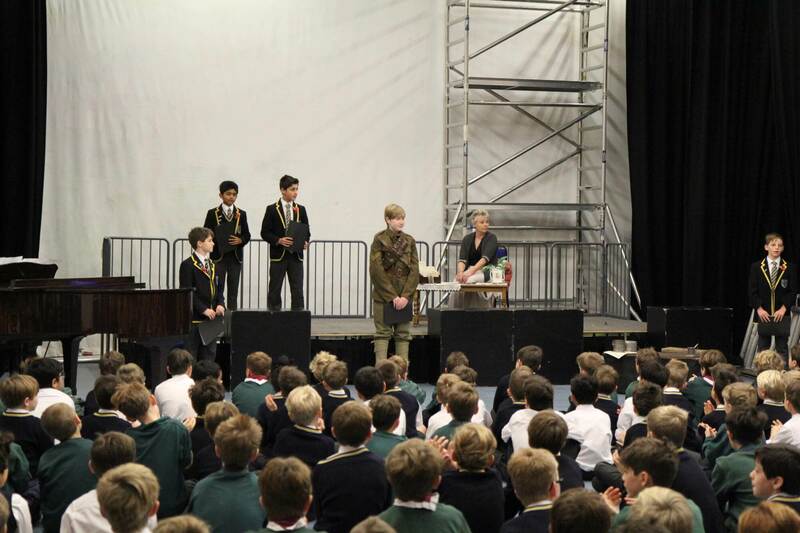 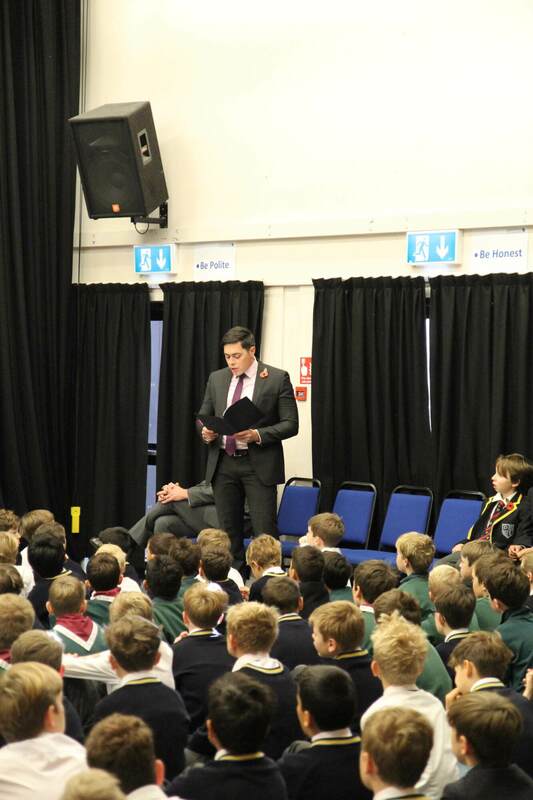 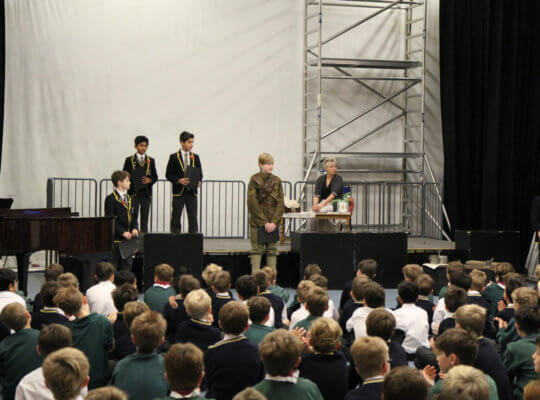 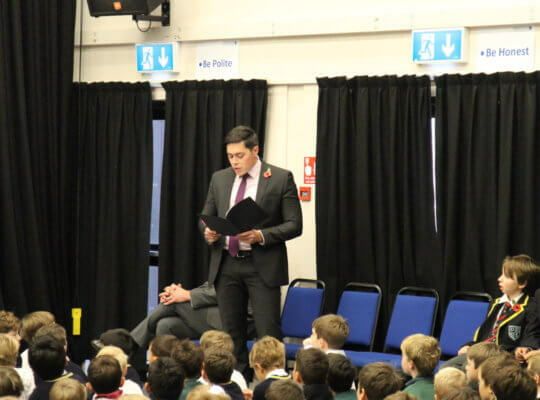 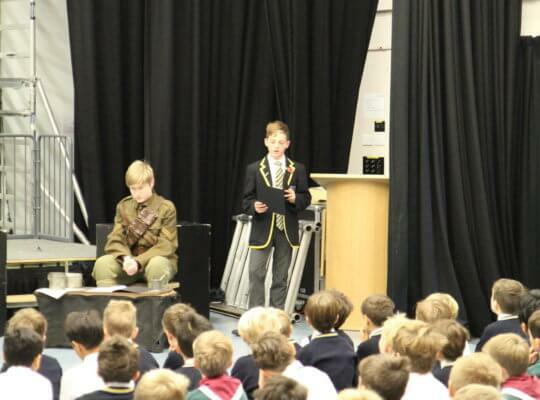 Continuing with our week of Remembrance, the Prep School boys had the honour of watching a performance by Miss Graham and a selection of Year 8 boys who told the story of George Victor Rushton who was killed in Northern France in 1918. 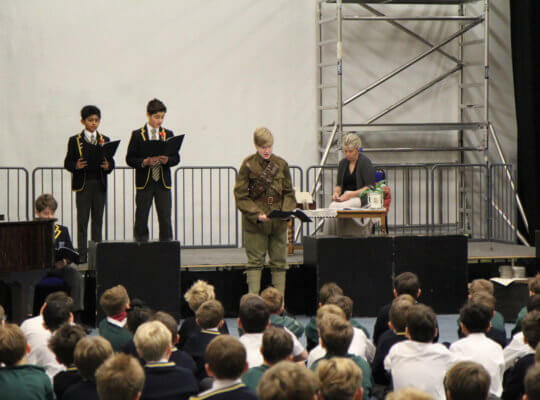 We know much about the First World War and the plight of the fallen but not as often are told of individual accounts, stories of families missing and fretting for their loved ones throughout what ended up being years of conflict. 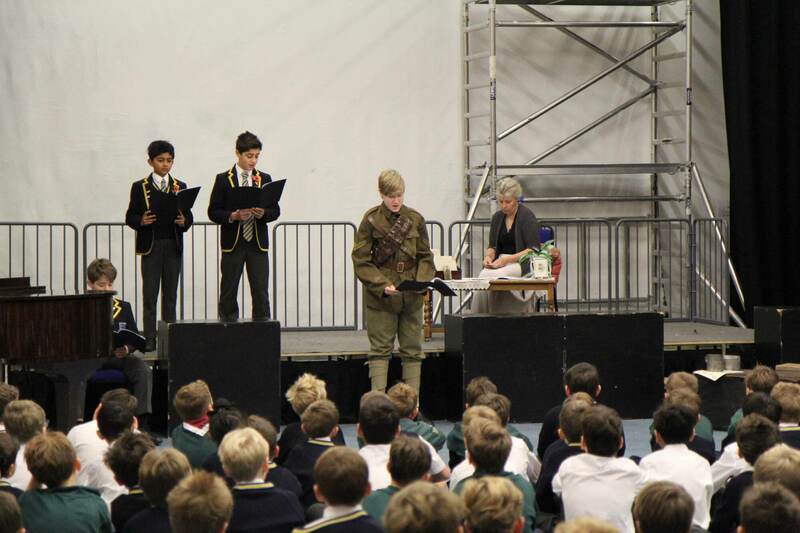 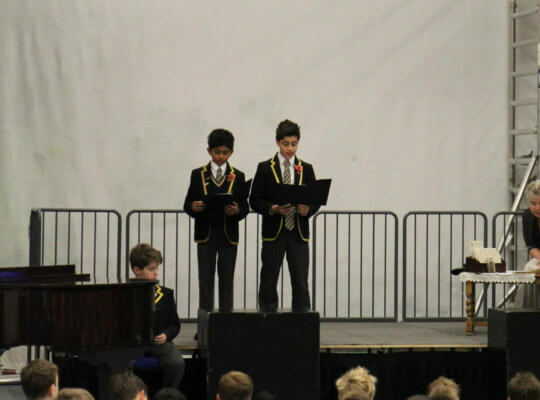 The boys did a wonderful job of portraying George’s story, accompanied by a moving rendition of Purcell’s Dido’s Lament. 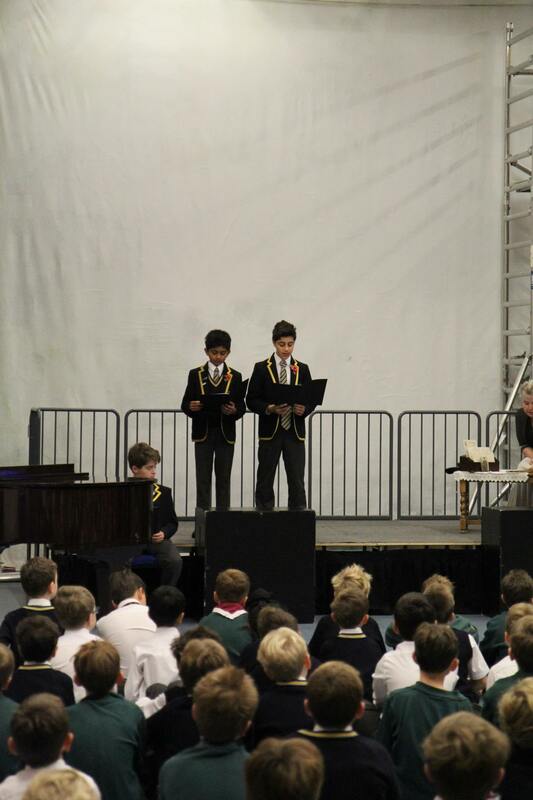 Thank you to the boys who performed so well and to the boys in the audience who listened intently.